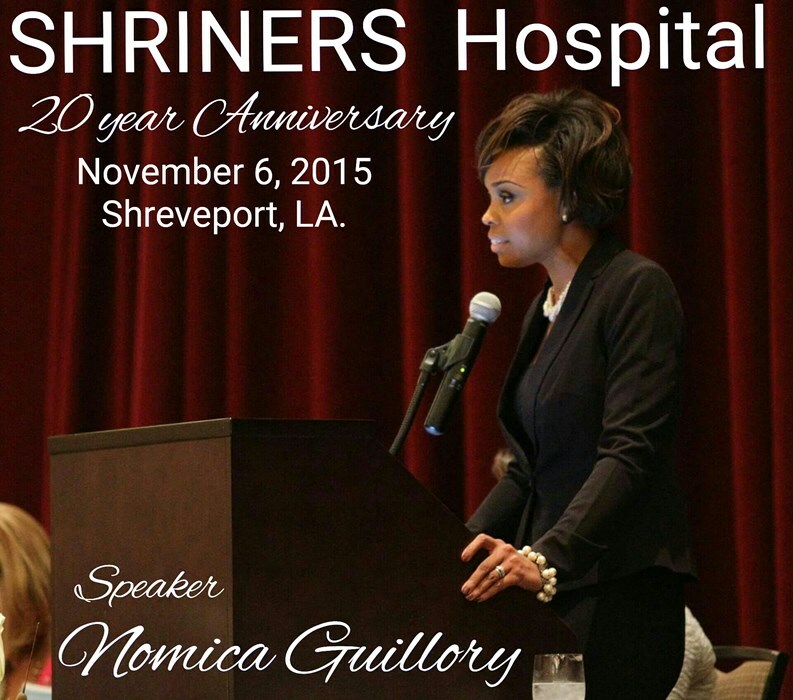 With more than twenty (20) years of experience, Nomica Golden-Guillory is ideally suited to provide you with the excellent motivation and inspiration that you will need to get your crowd going. Nomica has traveled state and country, speaking to both youth and adults, encouraging and empowering them to be the best that they can be. Venues have included: Chamber of Commerce Luncheons, Women's Business Network Luncheons, Medical Conferences, Sowela Technical Community College, Louisiana Association of Financial Aid Administrators, high schools, churches, seminars, continuing education opportunities through Northwestern University, support groups, and youth camps where she shares her journey of commitment and dedication, but most of all faith. Her message of determination and drive inspires others to find their path, travel their journey, and create a destiny of happiness and success! She has visited with Louisiana Governor Bobby Jindal, former President Bill Clinton, Serena Williams (Tennis Professional), former United States Senator, Mary Landrieu, Allan Payne (Jason's Lyric and Tyler Perry's House of Pain) and many other entertainment and political professionals. Nomica has been the KEYNOTE speaker at several events in an effort to ENGAGE, ENLIGHTEN, and EMPOWER others to live life with commitment, dedication, and fervor which will only bring about personal and professional success. 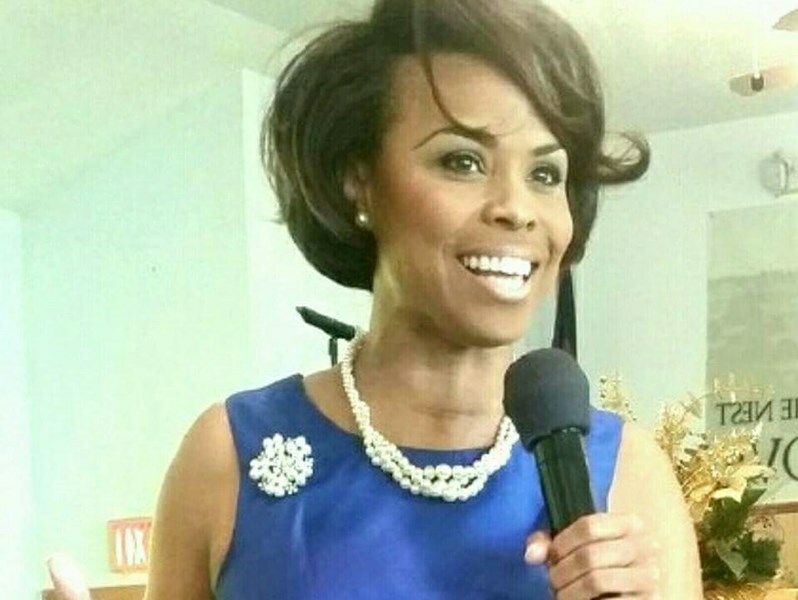 From being a sixteen year old mother, Nomica holds degrees in Nursing, Mass Communications, and a Master of Science in Instructional Technology from McNeese State University. Nomica Golden-Guillory won the title of 2013 Up and Coming Business Woman of the year (nominated by the Chamber of SWLA). She is also a former professional fashion model and has appeared in several national magazines and catalogs. She has over 10 years of experience in the fashion industry. Nomica won the title of Mrs. Louisiana-America in 2006, allowing her to travel to Tucson, Arizona to compete in the nationally televised Mrs. America Pageant. There, she placed 3rd runner-up to Mrs. America! She has appeared in the MTV spin-off show called, "So What Do You Want To Be? ", several television commercials as well as college introductory videos. Most recently, Nomica published her first book entitled, "The Power of Believing, Be Who You Are Meant To Be." This book, which can also be found on Amazon, is a Monday Motivational that inspires others to wake up each day and take note of all opportunities. Professionally, Nomica holds a seat on the Women's Business Network committee via the SWLA Alliance (Chamber), Whispering Hope Board Member, SWLA Law Center Board Member, Parkinson Association of the South Committee Member, and SOWELA Community College Alumni Committee Member. She is a member of NAUW (National Association of University Women) and she holds other community affiliations. She is married to Eligha Guillory, Jr. and they have three children, Matthew, Martina, and Isabella along with a family dog named Ellis. Please note Nomica Guillory will also travel to Westlake, Sulphur, Iowa, Ragley, Dequincy, Bell City, Hayes, Hackberry, Fenton, Reeves, Vinton, Longville, Welsh, Lacassine, Leblanc, Cameron, Singer, Kinder, Starks, Creole, Orange, Roanoke, Lake Arthur, Jennings, Elton, Mittie, Deweyville, Grand Chenier, Dry Creek, Mauriceville.